Electrical appliances have significantly eased our life. Now we can complete the household chores in a few minutes when earlier it took a whole day to clean, wash, or cook. Just like the two sides of a coin, with positive come the negative and electrical appliances are no different. The more the electrical appliances you use at home, higher the chance of facing electrical hazards associated with their use. Thus, you must take into account electrical safety measures to protect you and your family against injury or life-threatening situation due to electrical hazards. While using electrical appliances, you must follow these simple safety tips and safeguard your family against risks posed by electricity. Remember, a single mistake is required to spark an electrical fire, so taking a note of preventive measures would be useful. You must purchase appliances approved by Underwriters Laboratories or any other leading consumer laboratory. Appliances that produce heat, such as televisions and computer monitors, should be given enough space all around for proper air circulation and cooling. Do not put toys, clothes, or other items over appliances, when it is in use. Unplug unused appliances and keep them away from the reach of children and pets. Ensure to keep electrical appliances away from water, such as bathtubs, pools, or thinks that may drip. 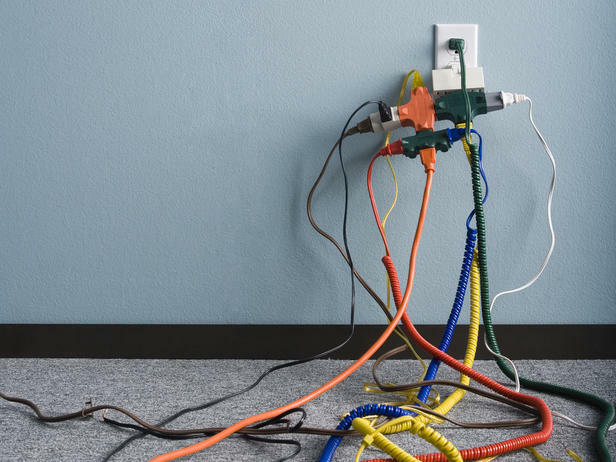 In homes, extension cords are used to add-up the range of electrical outlets. These safety tips can help you operate safely with these cords. Check cords regularly for cracks, frays, or kinks. You should look on safety suggestions while using cords such as holiday lights, extension cords, and power tool cords. Cords should not just be used for any other purpose than originally intended. Extension cords provide a temporary solution and their use should be reduced whenever possible. Cords should not be placed under carpet or mats where a trip hazard is not easily noticeable. Moreover, covering a cord will thwart it from keeping it cool as required. Outlets are tempting to unwanted objects that can source fires and shorts. Follow electrical safety tips to keep outlets safe. Block unused outlets by using childproof caps or put a solid cover plate. Always insert suitable size plug into the outlet. Do not overload outlets, instead relocate the cords; else, the chance of catching fire increases. Keep outlets covered properly with plates that wrap over all wiring. Light bulbs are the most common electrical fixtures. Read the safety measures to avert an electrical hazard. Use bulbs that fit the right wattage requirements for each fixture. Using an inappropriate wattage bulb can cause overheating to the fixture. Opt for efficient CFL bulbs, because these bulbs provide the same amount of light while consuming lower power. Always put bulbs tightly. A loose bulb can cause electrical shock. Make sure to turn off electrical fixture before changing the bulbs.